I just love this time of year because all of our suppliers launch their new collections and every day I genuinely feel real excitement when I see that another catalogue has arrived in the post. It’s a bit like having a birthday as a child, eagerly waiting for the postman to arrive so that we finally know that the new dolls will be for 2015! Catalogues are always opened immediately and scoured intensely from cover to cover at least twice. I will revisit several times over the next few days to completely absorb all the lines available and consider what I think will do well at Petalina and what I won’t order just yet but maybe later. It’s always so difficult to choose, especially now that we have so many ranges because we can’t order everything – sadly! Without doubt seeing the new products is the best part. It’s a huge commitment by manufacturers to introduce new dolls because the sculpting and mould making are incredibly expensive, so seeing something lovely that hasn’t been seen before is always wonderful! For example, Gotz introduced the beautiful multi jointed Happy Kidz dolls three years ago and this year With Heart & Soul have added a beautiful new face to the Kidz ‘n’ Cats collection. Usually, the newness comes from familiar dolls being presented in a different way in terms of their eye and hair colour, their hair style and outfit. The presentation of a doll makes such an enormous difference to it’s success, and sometimes I look at the outfits chosen and wonder what on earth was in the designer’s mind when he or she decided on a particular look! Mostly though, there is such talent and the dolls and outfits created by all our manufacturers is superb. So what does 2015 have in store for us? As soon as the Nuremberg Toy Fair is over we will be able to show you photographs, but until then our suppliers ask us to keep designs under wraps! 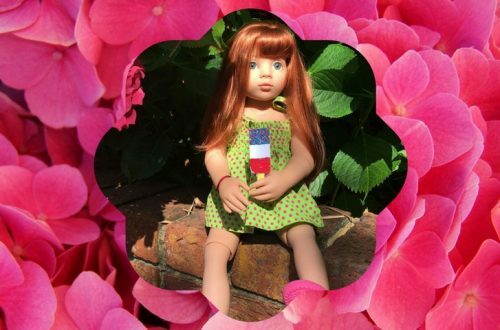 For 2015 Gotz have worked particularly hard at pulling together a more affordable range of dolls clothes with single items such as a nightdress or denim jacket available separately with very little packaging to keep the cost down. Do you remember last year Gotz featured some clothing designs from Munich School of Design and asked customers to vote for their favourites? Several of the outfits are available to order together with a blonde and blue eyed Happy Kidz doll dressed in a Munich Design School outfit. Overall, the ranges of dolls available remains the same with quite a few carry overs of popular models such as Cookie Care, Hannah as a Princess, Classic Kidz Laura and Happy Kidz Anna. Precious Day Jessica, Elisabeth and Julia have gorgeous new outfits, especially Jessica who is wearing a black hairband with cat’s ears on. Very cute! In fact there is a Maxy Muffin with blonde hair in a very similar outfit with the same hairband and she is adorable too. There is another new addition to the Happy Kidz range and that is Katie with brown eyes and lots of red hair (see photo above). Someone had a lot of fun designing her outfit – love it! Luisa is back in the Classic Kidz range but this time in a very casual outfit and Classic Kidz Lena is once again in a very detailed party dress. Hannah with her Dog is going to be really popular again this year – gorgeous outfit with a fur lined waistcoat and tartan skirt (see photo above). 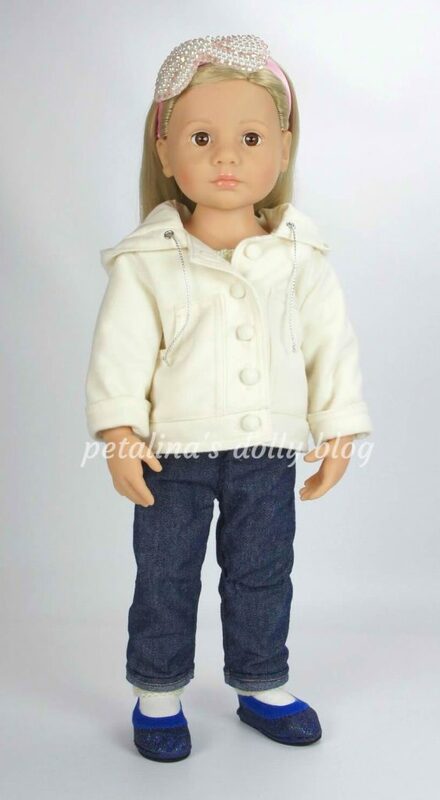 As usual there are a few dolls that have been discontinued including the beautiful Classic Kidz Vroni. Also, the Just Like Me clothes aren’t included which is a shame. We still have several Vroni dolls and a few Just Like Me clothes, so do grab them while you can! 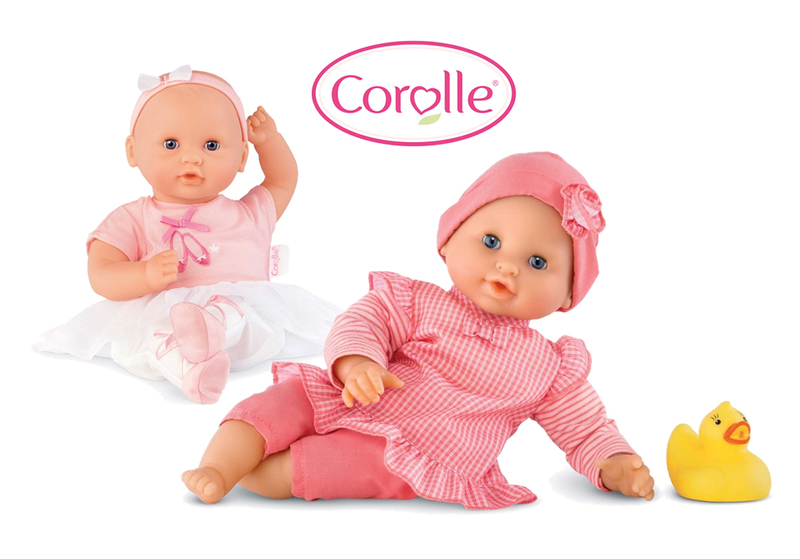 I have now seen the new Corolle catalogue and most of the dolls are to be carried over as they are. There are new Calins and lots of new Les Cheries. In fact, the only significant new outfits are for the Les Cheries dolls this year and they look fabulous. I don’t have any pictures yet that I can share with you of Les Cheries. For information about the 2015 range of Kidz ‘n’ Cats dolls you can click here to read an earlier blog post. In short there is a stunning new face mould which is proving to be very popular. We have sold out of our first delivery of Robert already and that is just with pre-orders. We still have a few Roberts left from our second delivery. There is also a new range of mini dolls available later in the year, designed to be little dolls for dolls to hold, I think they will also be very popular in their own right as clothes will be available. The Kidz ‘n’ Cats dolls will no longer be presented with cats in their boxes which have been removed to keep the price of the dolls down. Cats will be available separately with spare clothing too. The Kathe Kruse catalogue has been the biggest surprise of the year to date. In 2013 the company was acquired by Hape Holding AG, a company well known for it’s toy range made from ecologically sustainable materials. There was a little concern that this would result in the production of Kathe Kruse products moving to China but this is very much NOT the case. Kathe Kruse production remains in Germany and Latvia – nothing has changed. The effect of these two companies combining is evident in the catalogue. There are lots of new dolls in various ranges and overall the feel of the catalogue conveys ‘toys’ rather than ‘tradition’, and I really hope this new approach attracts new customers to keep this beautiful brand moving forward. The ranges of new dolls include ‘The Birthday Children’, Sweet Girls, Cool Girls and The Pirates. The Birthday Children are just divine. 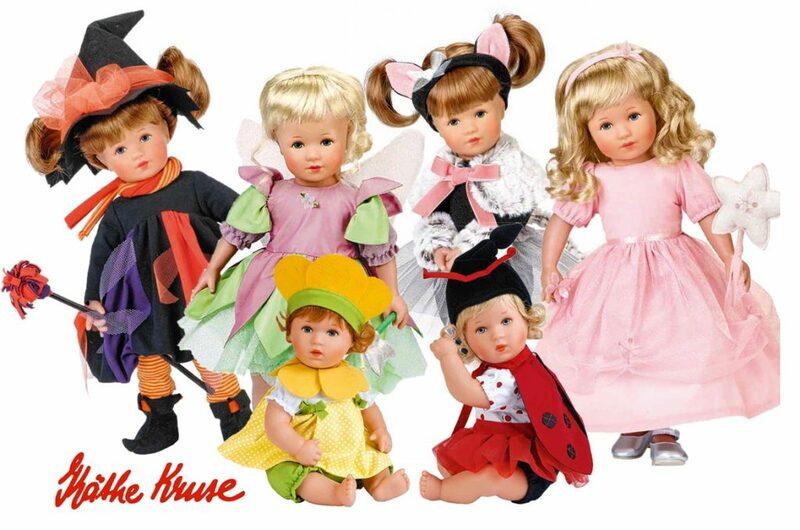 They are cuddly toddler dolls dressed in the most gorgeous dressing up outfits including a Cat, a Princess (my daughter spotted it and gasped – she described it as the most perfect doll ever), a witch, a buttercup, a ladybird and an elf. 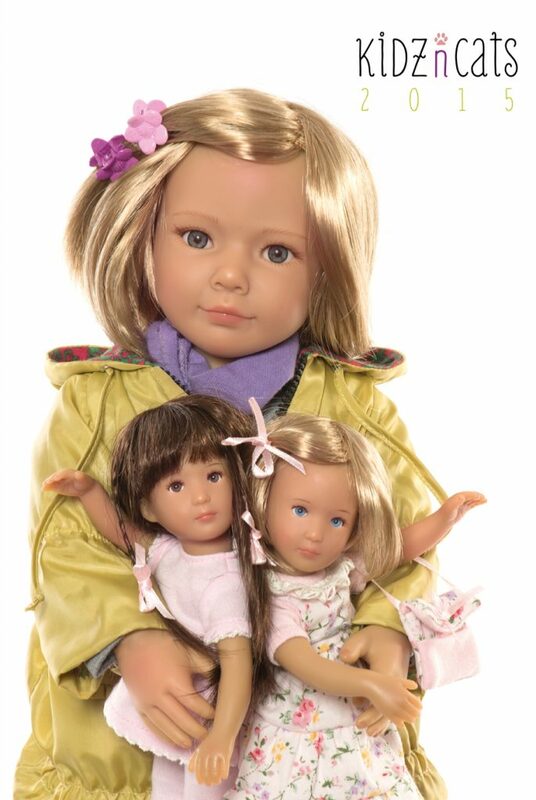 The Sweet Girls are simply dressed dolls (using the Sophie face) that make the dolls more affordable. Cool Girls are the trendiest looking Sophie dolls that I have ever seen. Carlotte even has long red hair with ringlets, a tutu skirt and doc marten style boots! And you’ll love the Pirates, Liz and Jack, both are Sophie dolls in really terrific outfits. So what has been discontinued I hear you cry? Elea – I really can’t see the cute Elea face anywhere! Minouche dolls by Sylvia Natterer have gone (sob) but scroll down for more news about Sylvia from Petitcollin. Baby Mein, Kikou, Mini It’s Me Waldorf, Marie Kruse Stylista and Mini Bambina have all gone along with the Pret-a-Porter dolls clothes ranges. However, I do think that the selection this year is really good and although many of their well known dolls have gone, they are back with a splash in a slightly different form. We have just received the Antonio Juan catalogue and there are lots of beautiful new dolls to choose from. We are working on our order as we type! Llorens has yet to arrive. Last year the decision was made by the UK distributor of this traditional French brand to no longer make it available in the UK for 2015. This means that Petalina will be ordering directly from Petitcollin as we always used to unless another UK distributor is found. Now that we have received priceslists from Petitcollin I am thrilled! Prices had gone up significantly in 2014 so I didn’t order very much at all, but all the products are affordable again so we will be able to keep up our range. Big news this year is that Sylvia Natterer has designed a range of dolls for Petitcollin in two sizes, 48cm/19″ and 34cm/13″. Sylvia sent us a copy of her catalogue some time ago now and the new dolls look so beautiful!!! I am intrigued because they are being made in Spain so somewhere in Spain there are the skills needed to hand paint the eyes of these beautiful dolls which is great. This year Schildkrot seem to have freshened up the look of their catalogue too with there being fewer options available of the same doll (much easier) and the outfits are very pretty too. As usual we have ordered a selection of baby and toddler dolls in a range of colourings and sizes. There was one disappointment as I was flicking through the catalogue and that was to see that the Schildkrot Jointed Girls Amy, Lottie and Katy (our chosen names) were no longer included. 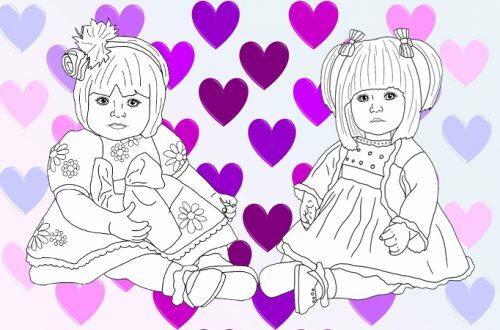 They are very sweet dolls of which we have a few left and I will miss their cute little faces and amazing posability. 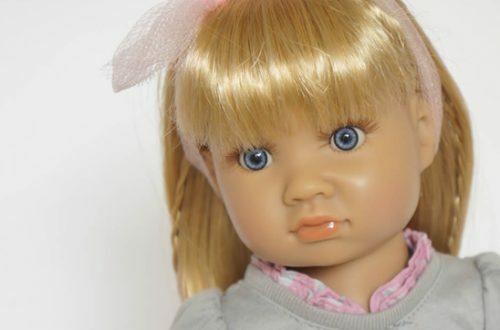 In their place Schildkrot have introduced a new doll called Elli, a 52cm standing doll. I wonder if they are soft bodied dolls with very flexible limbs like our Betti by Schildkrot, or whether they are all vinyl, or can stand up with a soft body. We will have to wait and see! The range offered by this Spanish company just gets better and better with each year that passes. This year sees some lovely introductions including a sweet bath baby which is great value and a range called Every Girl which is really interesting. They are 47cm dolls that have a ‘skeleton’ inside to make the dolls fun to pose. There is also a gorgeous new face to add to the Soy Tu range and a really pretty new face to add to Las Amigas. Las Blanditas have really lovely outfits this year that will appeal to the UK market so I can see that these will fill the void left by the lack of Corolle Vanilla Blonde and Brunette. 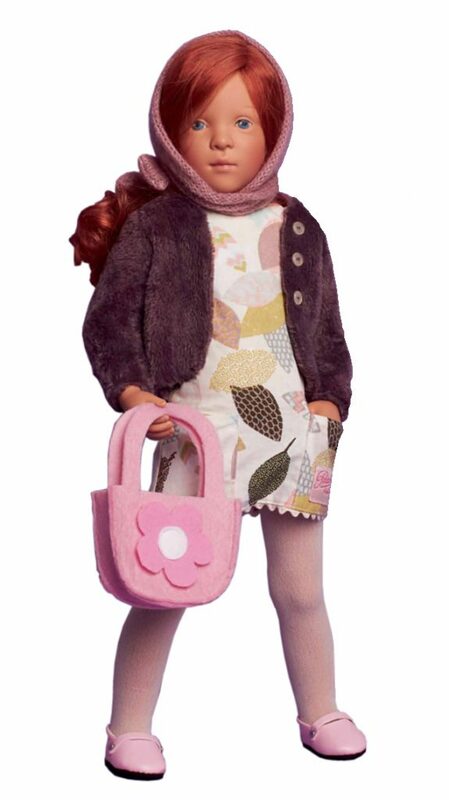 Adora is an extremely popular doll brand in the US which was introduced to the UK for the first time in 2014. We selected several ranges initially and this year will concentrate on the Playtime dolls, Bathtime dolls and Toddlertime dolls of which there are now many more available for us to choose from. I’m pleased to see that several outfits have also been tested to ensure they comply with European toy safety legislation. Our first delivery has already arrived, and Happy Birthday is stunning!! I hope you have found this interesting and useful. I’ll add more as we receive the new dolls. If you wish to be told about the arrival of new stock then please sign up for our newsletter and follow us on facebook.